Share the post "The Truth About Fibroids With Dr. Bruce McLucas"
Safe, simple embolization can shrink uterine fibroids. Stephanie Stephens of ‘Mind Your Body’ meets with Bruce McLucas, M.D., founder of the Los Angeles Fibroid Treatment Center to discuss how Uterine Fibroid Embolization shrinks uterine fibroids instead of surgically removing them. One of the first patients ever treated for embolization talks about her experience with the procedure and 20+ years of freedom from fibroids. 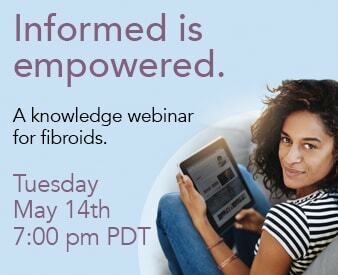 Fibroids are affecting younger women. Many `will develop fibroids before age 35. Is surgery your only choice? Dr. Bruce McLucas and The Fibroid Treatment Collective have another approach. What happens inside the body during a fibroid embolization procedure? This animated video shows what embolization is, what it does and why it works.